We’ve talked about data collection and some of the elements to remember when recording ABCs. However, the teacher is typically not the only person taking data so I wanted to give you a freebie to help with training and reminding staff how to take functional data. I’ve made a poster of reminders that can be printed in color or in black and white. 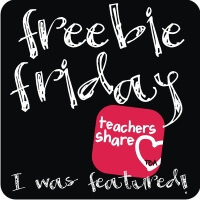 You can use it as a poster or photocopy it on to the back of the ABC data sheet you are using. Think CONTEXT: Don’t limit yourself to single events when describing antecedents and consequences. Instead, think about the context of what is going on. The more information you can describe about what is happening in the environment before and after the behavior, the more likely you are to be able find patterns when you analyze the data. “Nothing” NEVER Happens: I always hope that double negative will get some attention. One of the biggest issues I run into using ABC data sheets is that someone will write, usually in the antecedents section that “nothing” happened prior to the behavior. Unless you are living in a vacuum, something was happening at the time. Typically what people mean when they say nothing happened is that they didn’t think anything going on at the time was related to the behavior or they didn’t think it was a trigger for the behavior. If we knew what the triggers were, we wouldn’t need to take the data. Again, recording what is happening in the environment in as much detail as possible makes it more likely we will eventually find a pattern. Write About the Behavior, Not Emotions: I talked about this HERE, but in general, avoid saying “He got angry” when you mean that he threw his work across the room and started to scream. Include What Other Students Are Doing: We sometimes forget that it’s not just our behavior that influences the behavior of the student but that everyone’s (students, other staff members) behavior that makes up the context. 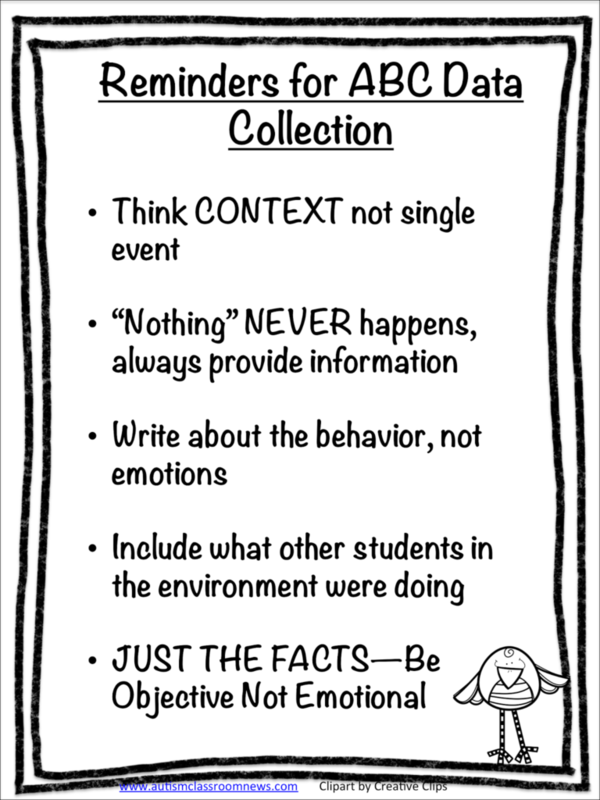 Don’t forget to put in other student’s reactions to behavior. If a student comes up to the teacher to ask a question when you are working with Jim and Jim throws his work when you turn to answer the question, knowing that the other student interrupted or that the other student ran away after the behavior can be useful information. No every consequence is intentional or directed at the student; but it still might be maintaining the challenging behavior. JUST THE FACTS: Finally, I talked about this more extensively here, but it’s important that our data be objective and clear and focus on the observations of the behavior, not how it made us feel or think about the student. Avoid judgement words and write clearly about what was observed. Click on the picture to download the posters. I’ll be back in the next post to talk about different data collection tools and another freebie before we talk about analyzing the data. 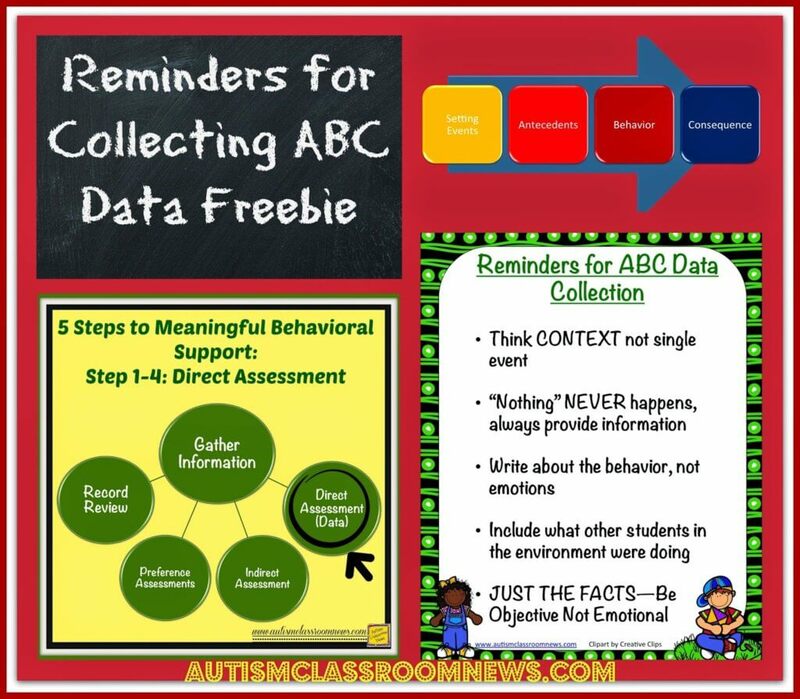 In the meantime, what other reminders do you have for taking data that is meaningful in the process of a functional behavior assessment? Thanks for sharing these concise and useful reminders, Christine!